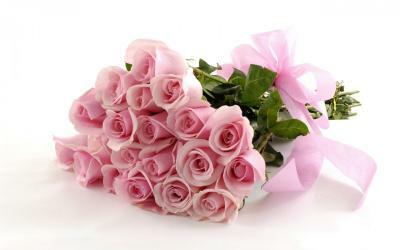 Product Consist : Bunch of Beautiful 12 Red Roses. 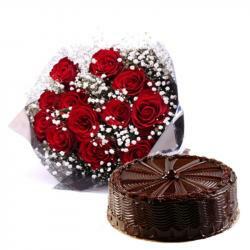 Romantic floral gift is beautiful bouquet of garden fresh dozen red roses to be delivered at love one door step. if you Present this on special occasion for valentines day which are surely Convey your deepest love and innermost passions. 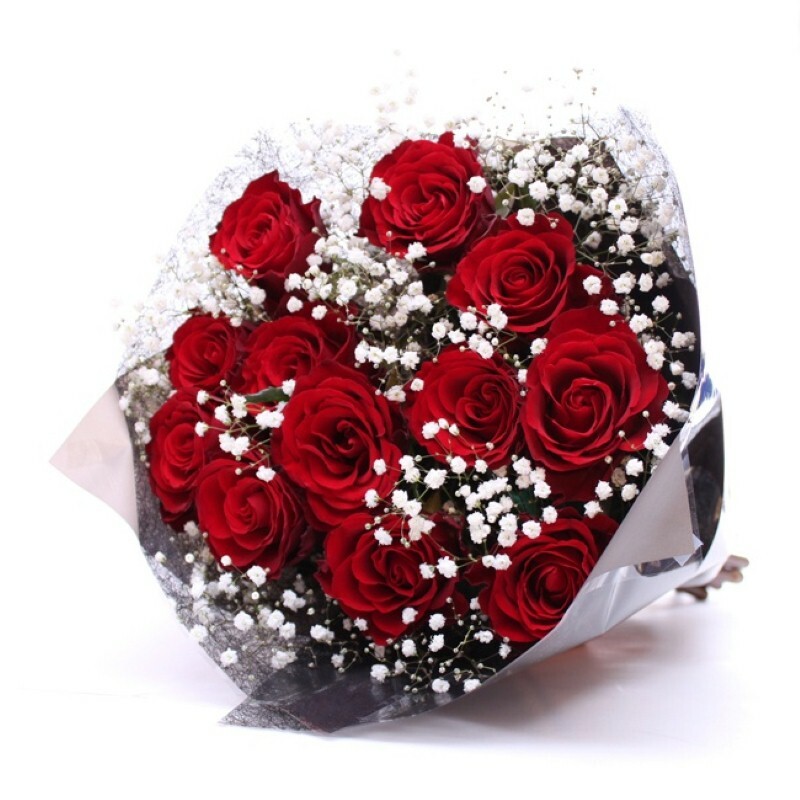 This beautiful tie of red roses looks amazing which is decorated with white color small flowers giving it a heart pulsating look. 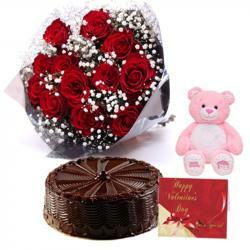 This super stylish bouquet is especially designed to show the intensity of love you have for them and is the souvenir of long lasting relationship and the bond you to share. 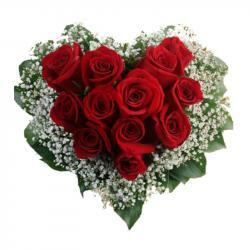 Product Includes : Bunch of Beautiful 12 Red Roses.